FC Barcelona are ready to take on Athletic Club after completing their final training session on Friday before the meeting between the two sides at Camp Nou on Saturday (kick-off 4.15pm CET). 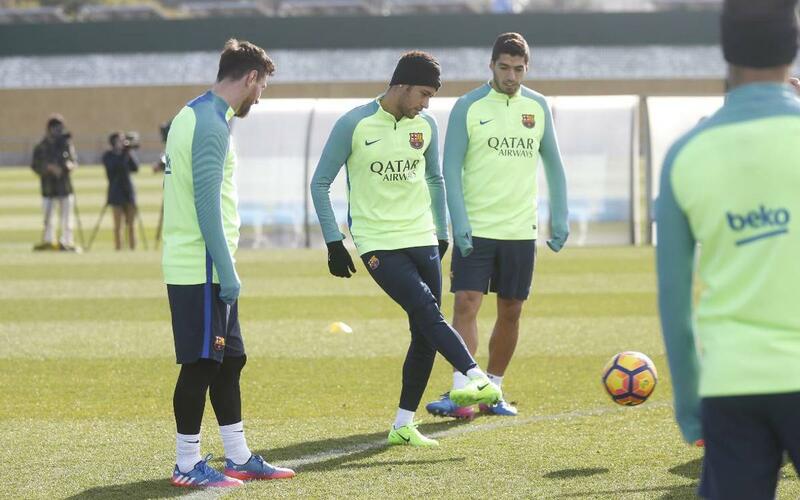 Luis Enrique oversaw the session at the Ciutat Esportiva with all available first team players at his disposal, including the additions of Sergio Busquets, Lucas Digne and Andrés Iniesta. Barça enter the game against the Basques on the back of an impressive 2-1 win in the first leg of the Copa del Rey semi-finals against Atlético Madrid. It may be just the second month of the year but Saturday’s match will be the third meeting between Barça and Athletic, with the previous two coming in the cup where the Catalans ran out 4-3 winners on aggregate.